Go out, check in and stay safe. iStaySafe allows you to let your friends and family know that you’re okay. With one tap you can check in with your map location, a photo and in an emergency have your location tracked for a limited time. iStaySafe is the perfect app for teenagers who want freedom, independence and responsibility. You want to go out without getting those embarrassing phone calls from your parents! But they worry about you and want to be able to help if there’s an emergency. iStaySafe is different to other apps. We’ve all seen the TV show Big Brother, but who wants to be watched by their parents all of the time? With iStaySafe we give you the responsibility to check in with your parents instead of them tracking you. You get the freedom to say if there is a real emergency. If you want to go out this weekend, download iStaySafe now. 1. Send Pic & Map. 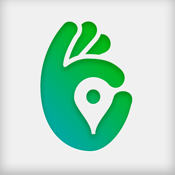 Send a picture and your map location to friends and family via email or SMS. Set automatic reminders so you don’t forget to check in. Send an emergency alert if you need help. This will allow your friends and family to track your location for the next 24 hours. The iPhone 3 GPS tracking can be less accurate than iPhone 4 and above.